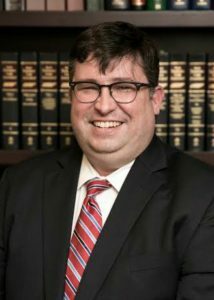 Charles Pierce joined Moore Ingram Johnson & Steele in August 2006 and works out of the firm’s Knoxville, Tennessee office. Charlie’s area of practice is focused on Workers’ Compensation Defense and Collections. Born in Huntsville, Alabama on July 28, 1976, Charlie was admitted to the Tennessee Bar in 2006 after receiving his J.D. from the University of Tennessee and his B.A. in History from the University of Tennessee. Charlie resides in Knoxville and enjoys hiking, camping, following Tennessee sports and enjoying time with friends and family.